When it comes time for unbridled aggression, see red with "Infestation." 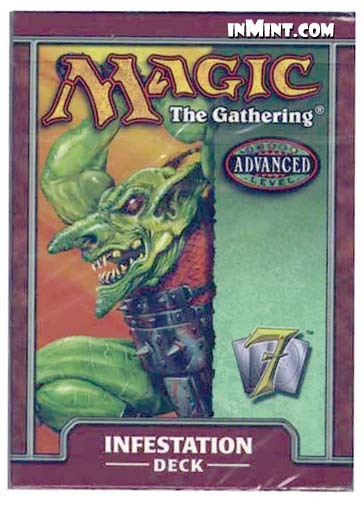 This Goblin-heavy deck has what it takes to beat down your opponent and remove creatures. It also features some gigantic, deadly creatures just chomping at the bit to close in for the kill.